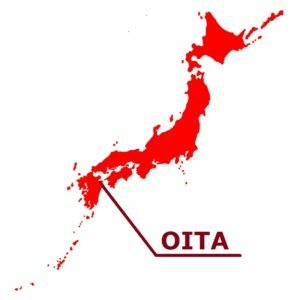 Hita city in Oita prefecture, the townspeople flourished in the Edo era by model of Kyoto, Osaka, Edo. Even now it is called “Little Kyoto” and it is a small town, but it is a place with a lot of atmosphere. Hita is also nice in town but it is a city where you can meet beautiful sceneries as you go for a further walk. “Hita Gion Matsuri Festival” held in such Hita city is a luxurious festival boasting about 300 years tradition as one of the four big festivals of Hita City. This festival will be held for 2 days as a festival praying for relief of pestilence and wind and flood damage. The gorgeous luxurious “Yamahoko” (decorated floats) goes round the streets of each district along with the sound of “Gion bayashi” (Japanese orchestra of Gion Festival). That “Hita Gion floats events” was also registered as UNESCO Intangible Cultural Heritage in 2016. Today, 9 units of Yamahoko in each of the eight cities and Yamahoko in Heisei will operate each district. 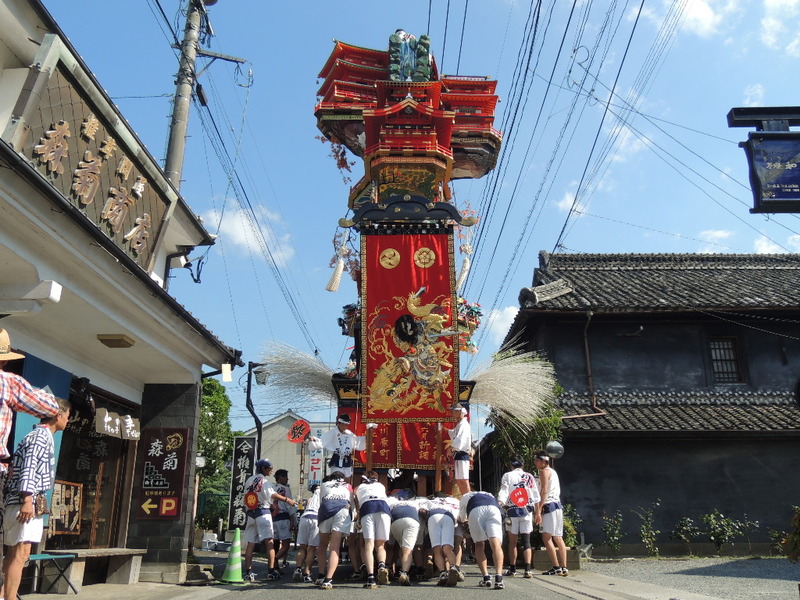 Festivals are held on Saturdays and Sundays after 20th July every year and men wearing happi coat (a workman’s livery coat) will rush Yamahoko 6 meters to 10 meters high. In “trial train” carried out before the actual festival, “face-showing ceremony” where nine Yamahoko gathers in front of JR Hita station which is the center of Hita city is held, and many tourists come every year. Yamahoko in the day is also brave, but the highlight will be “Banyama” which lights up Yamahoko, decorating the lanterns. On both days, Yamahoko and others gather around Fudanotsuji and Isshinbashi, and they pull them as if the men show off their power. In addition, Heisei-Yamahoko has performed “Junko parade” at “Honolulu Festival” held in Honolulu, Hawaii. Also, at “Hita Gion Hall” there is an exhibition such as the expensive “Miokuri-Maku” (glittering curtain) which is extremely valuable historically, and it is possible to touch part of the history of Hita Gion. Please visit when you are nearby. 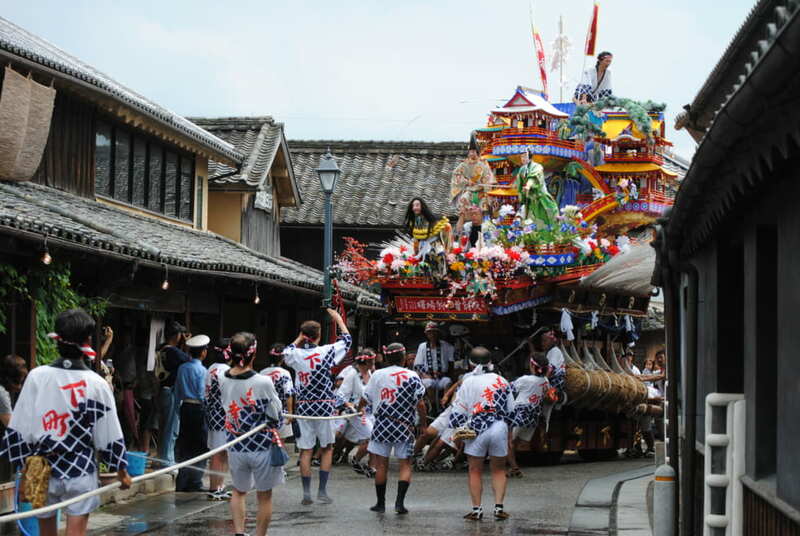 Hita Gion Matsuri Festival is held in the “Mameda”, “Kuma” and “Takeda” districts of Hita City, Oita Prefecture, on Saturdays and Sundays of past July 20th every year. It is “a sacred ceremony people pray for greater purification” of the Yasaka Shrine and the Takeda Wakamiya Hachimangu Shrine. It is one of the festivals which modeled on the Gion festival of Kyoto. 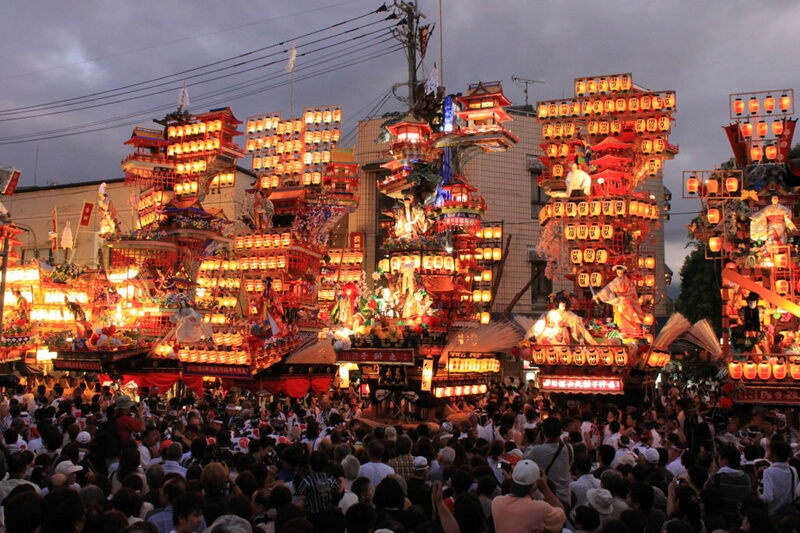 In 1996, it was received the designation “Country Designated Important Intangible Folk Cultural Asset” as “Hita Gion Festival’s Hikiyama Float Parade”. It is proud of the tradition of about 300 years, and is said to have started as charm against misfortunes of summer. The gorgeous festival cars of 6 meters to 10 meters in height, touring the town along with the sound of “Gion bayashi” (Japanese orchestra of Gion Festival). 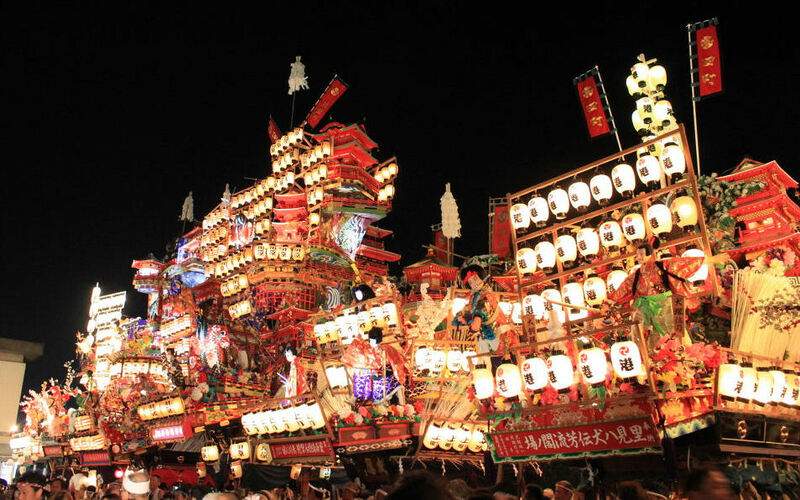 In the evening, the elegant festival cars that also lighting up appeared, and the festival celebrated its climax. Nine decorated floats will be gathered on July 20, “Yamahoko Kaomise (face-showing ceremony of the decorated floats)” is a must-see. From the time of twilight, all the decorated floats begins to gather and the performance of decorated floats of the year is announced. After sunset, the fantastic festival floats with the paper lantern in the night sky, and the appearance side by side is spectacular. 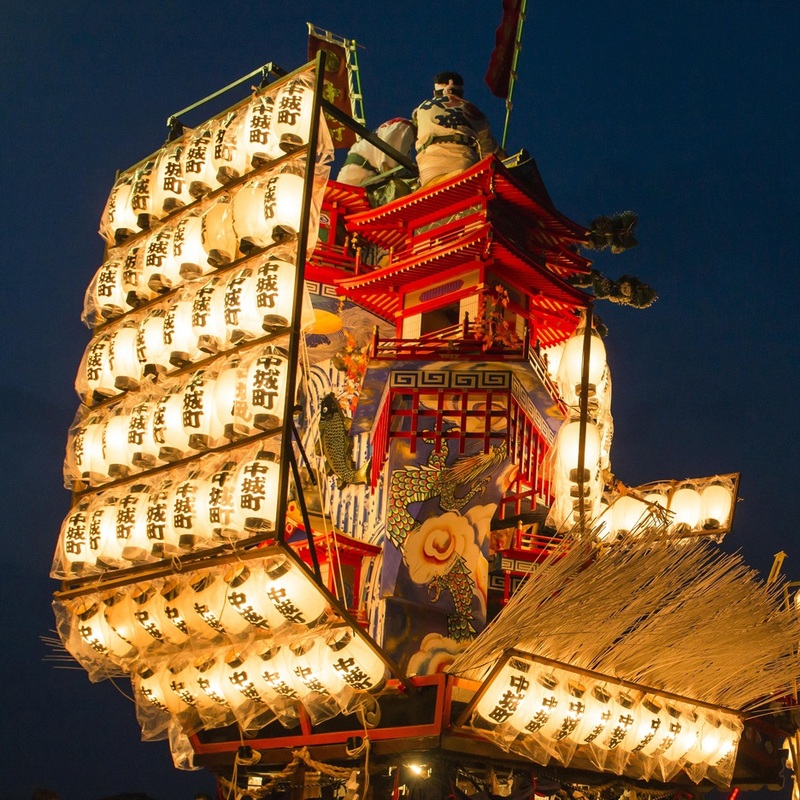 On the day of the Gion Festival of Saturdays and Sundays, the festival floats cruise from the afternoon to the night in two areas of the Kuma, Takeda area and the Mameda area. In each area, beautiful festival floats that light up are gathered together. Hita Gion Matsuri Festival dyes Hita City into a “festival” color. It is a place which many persons gather and emits the Power. The genuine summer festival has such power. Hita Gion Matsuri Festival is such a real festival.